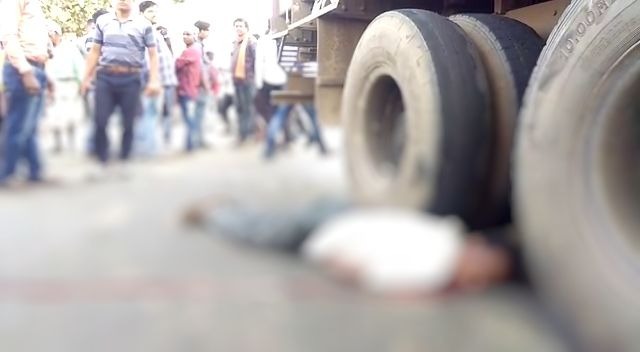 Kalahandi: In a tragic mishap, a man was killed and two others sustained critical injuries after a truck hit a bike on NH- 26 near Kaudola in Kalahandi district today. The deceased was identified as Yuvraj Majhi of Khaligarh. The injured were rushed to Lokasara hospital for treatment. According to reports, the mishap took place when a speeding truck rammed with a bike and fled the spot. As a result, Yuvraj died on the spot and two others were critically injured. Tension prevailed after the accident as angry locals blocked the road demanding compensation for the family of the deceased. On being informed, police reached the spot and started investigation.